The Cornilleau Sport 300 Rollaway Blue 19mm Indoor Table Tennis Table has a panel in chipboard ensuring a quality bounce. It offers good value for money. This table also features a 19mm surface or panel providing outstanding and consistent bounce. Main features include folding net, stronger legs and wheels with brakes. The DSI system ensures the highest level of security on the market thanks to 16 locking points securing the panels in playing and storage positions. Also features a central unlocking handle. With 'Compact Technology' tables, the posts and net stay fixed, avoiding the need to assemble them at each use. 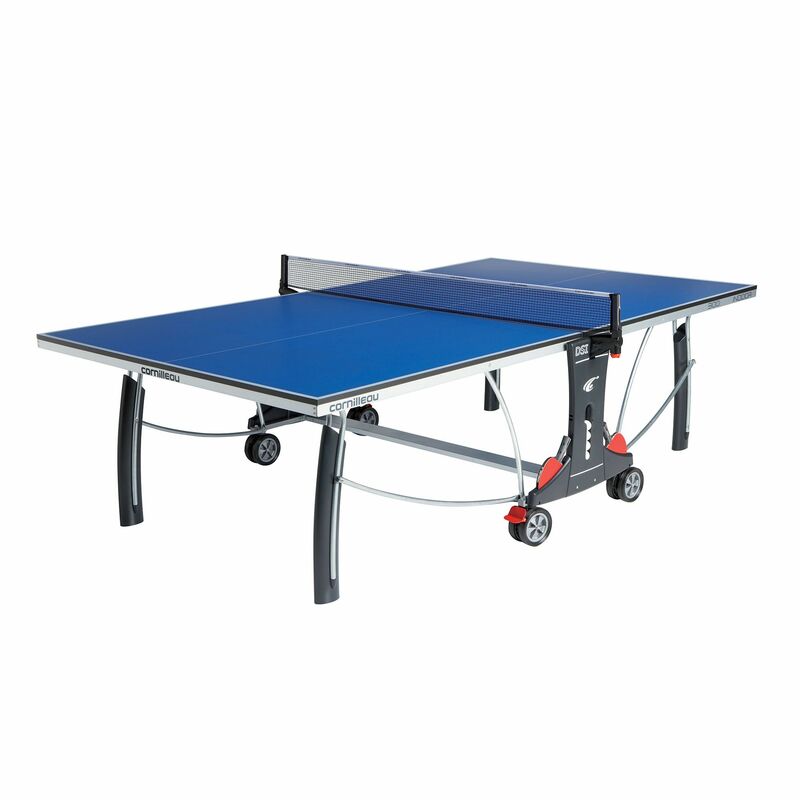 for submitting product review about Cornilleau Sport 300 Rollaway Blue 19mm Indoor Table Tennis Table.